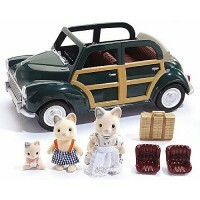 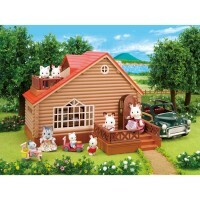 Kids favorite little Calico Critters animals will be happy to have the Lakeside Lodge as their vacation dollhouse. 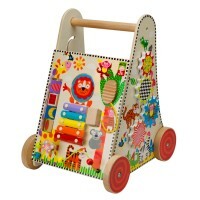 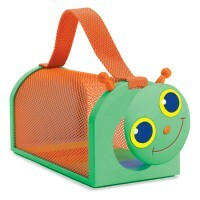 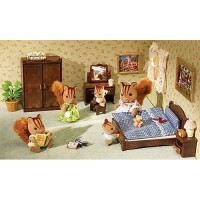 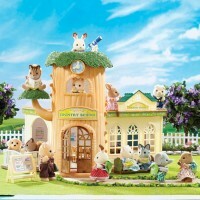 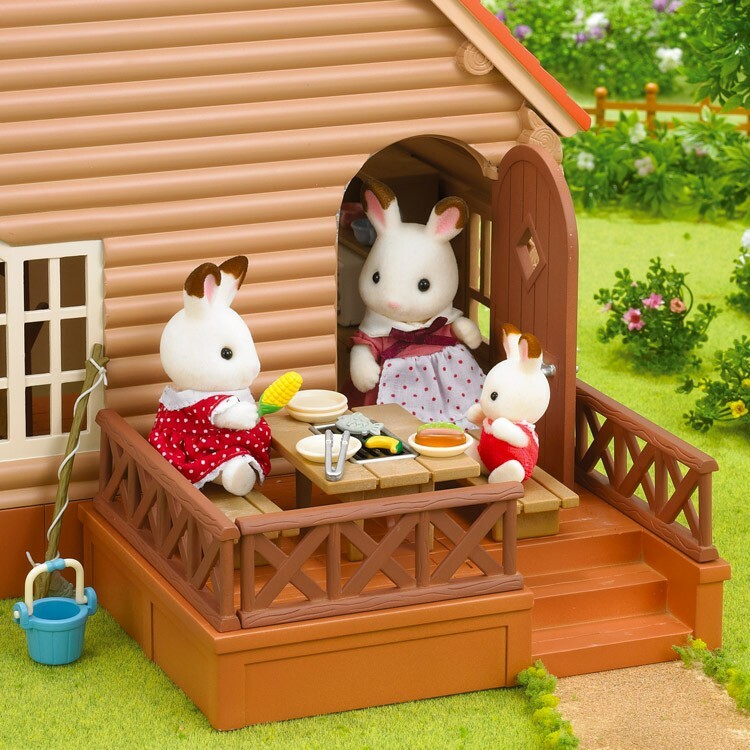 Calico Critters animal families enjoy visiting the charming Lakeside Lodge summer house. Calico Critters Lakeside Lodge Dollhouse includes so many fun features that your toy animals by Calico Critters will never be bored. 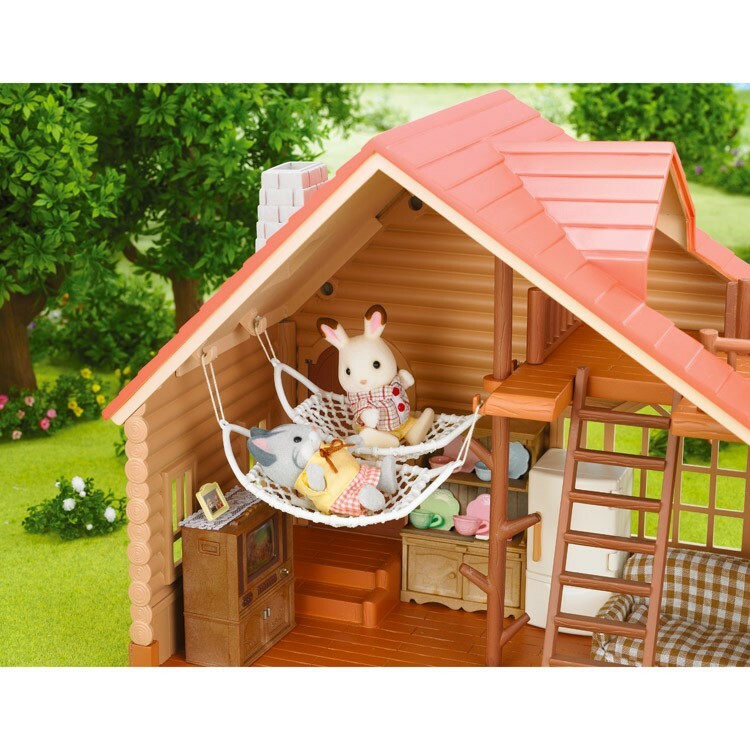 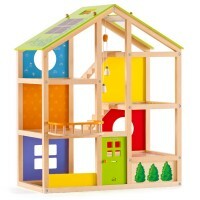 This toy play house comes with sun deck, hot tub, hot tub cover with shower head and knobs, 2 hammocks, ladder, 3 hot tub railings, and 5 balcony railings. 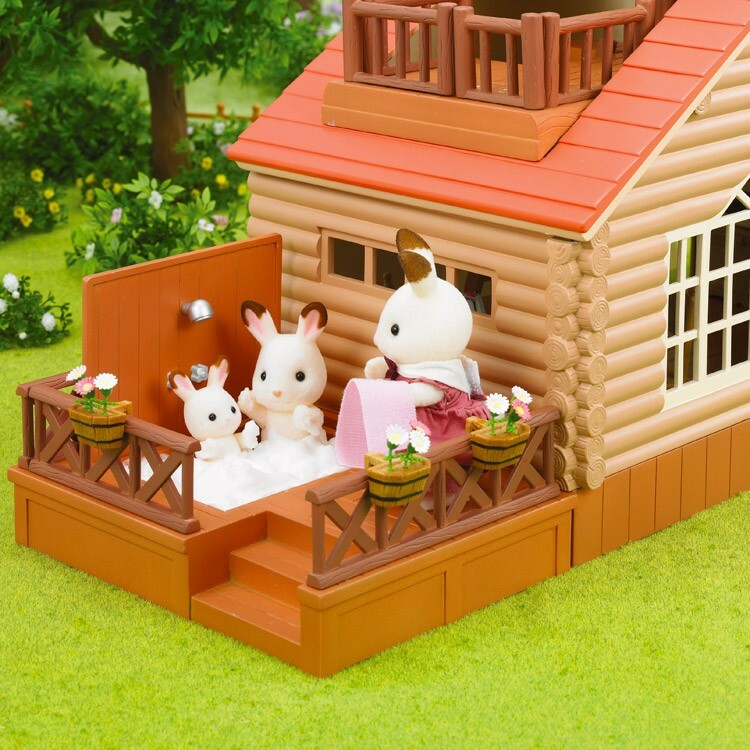 The sun deck can easily turn into the hot tub, so the Calico Critters can relax their stay at the lodge even more. 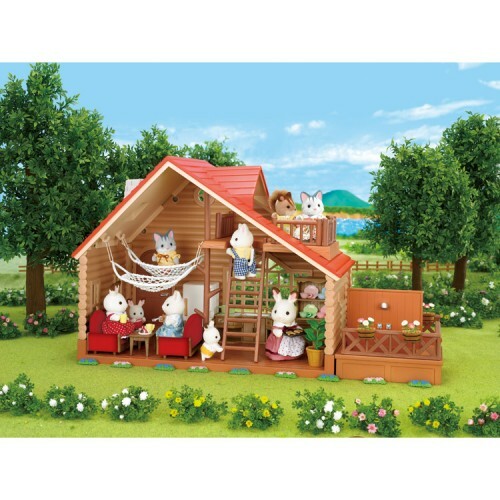 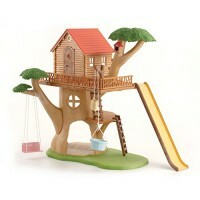 Calico Critters Lakeside Lodge Dollhouse can be used alone or connected to the Calico Critters Adventure Tree House Playset for even more playful fun. 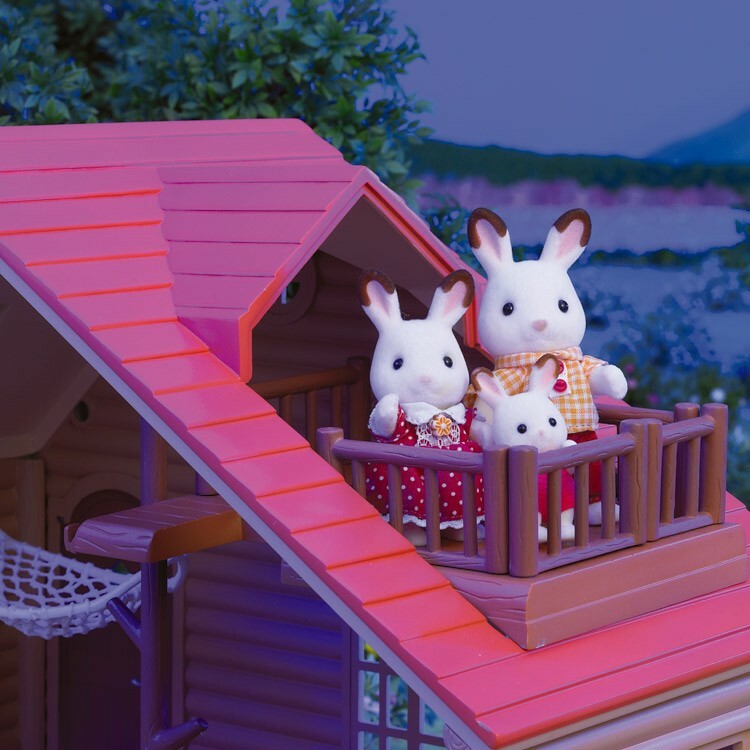 With this deluxe dollhouse combination the toy figures will be able to slide down from the Treehouse right into the tub of the Lakeside Lodge! 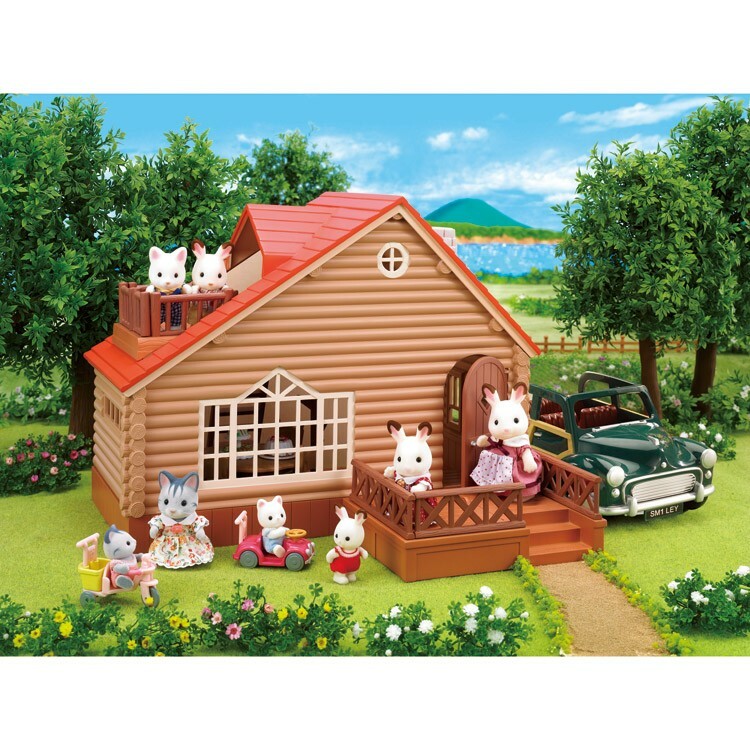 The lodge house measures 14 x 7.5 x 11 inches. 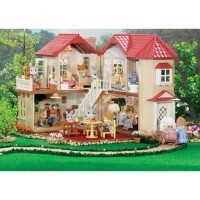 Calico Critters animals are sold separately. 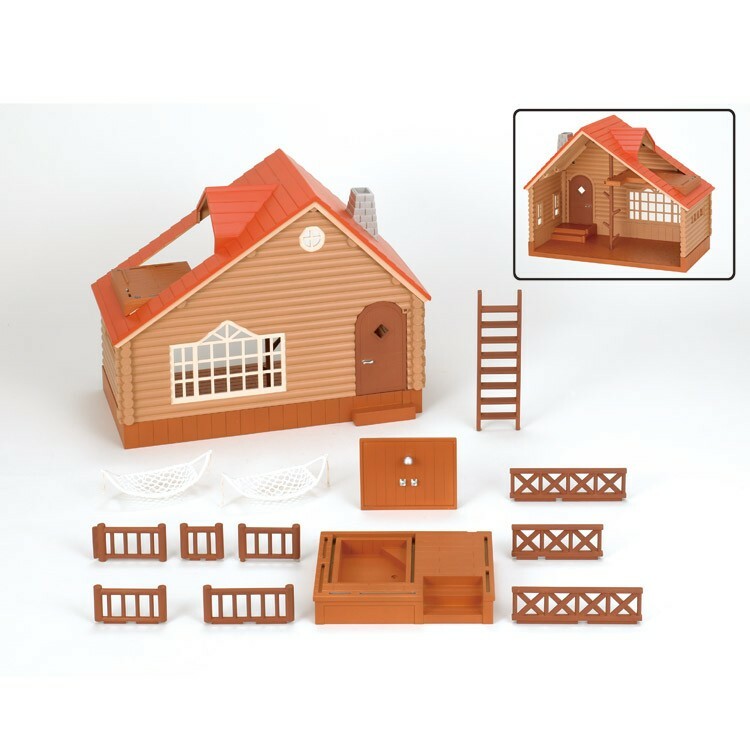 Dimensions of package 8" x 15" x 12.25"
Write your own review of Calico Critters Lakeside Lodge Dollhouse.